The pioneers in mobile music making now bring you the new iRig HD – the next generation of the immensely popular AmpliTube iRig interface. 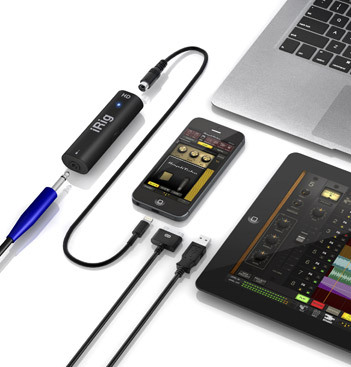 iRig HD is the first high-quality 24-bit audio interface that fits in your pocket and connects directly to your Lightning, 30-pin and USB devices – so no matter which iPhone, iPod touch, iPad or Mac you have, you'll rock out in seconds. iRig HD features superior digital audio quality, and offers a premium 24-bit A/D converter for a crystal clear digital signal that’s free from noise and crosstalk. Plus, its ultra-low-draw power-consumption circuitry eliminates the need for batteries – it's powered by your mobile device or computer. An onboard gain control allows you to dial in the perfect signal level for your instrument and apps, and a multicolour LED lets you know what's going on with your interface and signal. iRig HD is compatible with the range of IK AmpliTube apps (the #1 app for guitar players) including AmpliTube Fender®, AmpliTube Slash and AmpliTube Jimi Hendrix, as well as any other real-time processing apps, such as Apple GarageBand, which support digital audio. 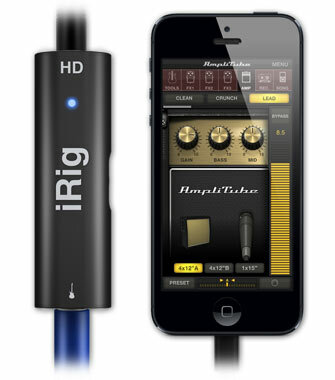 Use the iRig HD anywhere you play guitar – on the go, in the studio or on your Mac at home. No matter where you are, iRig HD delivers pure high-quality digital input signal. It features a 24-bit A/D ultra-transparent converter that accurately preserves the nuances of your instrument. This means you can rock out on your iPhone, iPad, iPad mini, or Mac laptop or desktop computer, with studio quality sound. iRig HD features a standard 1/4" Hi-Z instrument input jack, and connects to your iOS device with the included 30-pin cable or the included Lightning cable. The beauty of the iRig HD is that it works everywhere you do. It also comes with a handy USB cable and is class compliant, so you can plug right in to your laptop or desktop Mac computer and keep jamming. Start a project on your iPad, finish it on your Mac with the same great tone: Brilliant. But wait, there's more. We also give you the complete AmpliTube Metal collection for the Mac, which features 48 gear models, including amps, cabinets and stomps. You get presets ranging from vintage 80's shred to the ultra high-gain sounds of contemporary metal. Now for the good stuff. Download the AmpliTube FREE, AmpliTube Fender FREE, AmpliTube Slashor AmpliTube Jimi Hendrix app from the App store. Plug your guitar into iRig HD, plug your headphones into your device headphone jack and launch the app. Immediately you'll see something very familiar – a complete guitar rig. 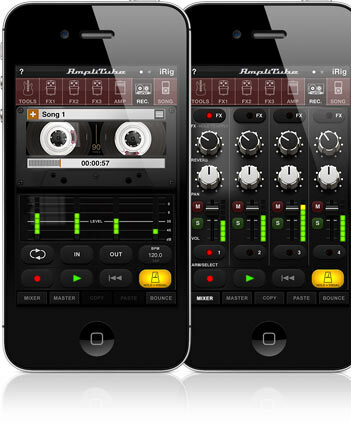 AmpliTube iOS recreates your entire guitar/bass signal chain in your iPhone/iPod touch/iPad. 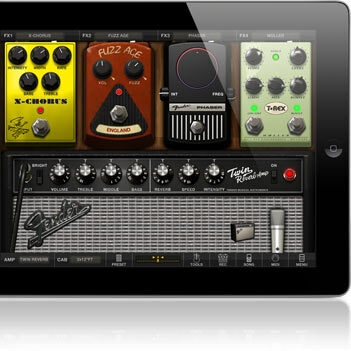 AmpliTube FREE, AmpliTube Fender® FREE, AmpliTube Jimi Hendrix and AmpliTube Slash come with a built-in single-track recorder, expandable to 4 tracks on the iPhone/iPod touch and 8-tracks on the iPad versions of the apps. Immediately you can record your performance, and the length is limited only by your device memory. When you expand the recorder (via in-app purchase), you also get master effects, giving you a complete mobile recording solution built right into your device. Create full songs and compositions right on your iOS device, and export them in WAV or MP3 formats to share via SoundCloud, FTP or email. We're adding new models of gear on a regular basis, and the in-app purchase feature allows you to expand your AmpliTube app when you want to. You can start with the AmpliTube FREE, AmpliTube Fender FREE, AmpliTube Jimi Hendrix or AmpliTube Slash app, then expand your gear collection when you want.